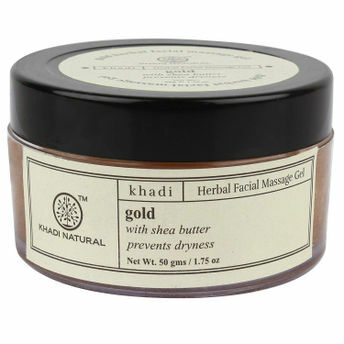 Get the luxurious 24-karat gold home facial with Khadi Gold Face Massage Gel. 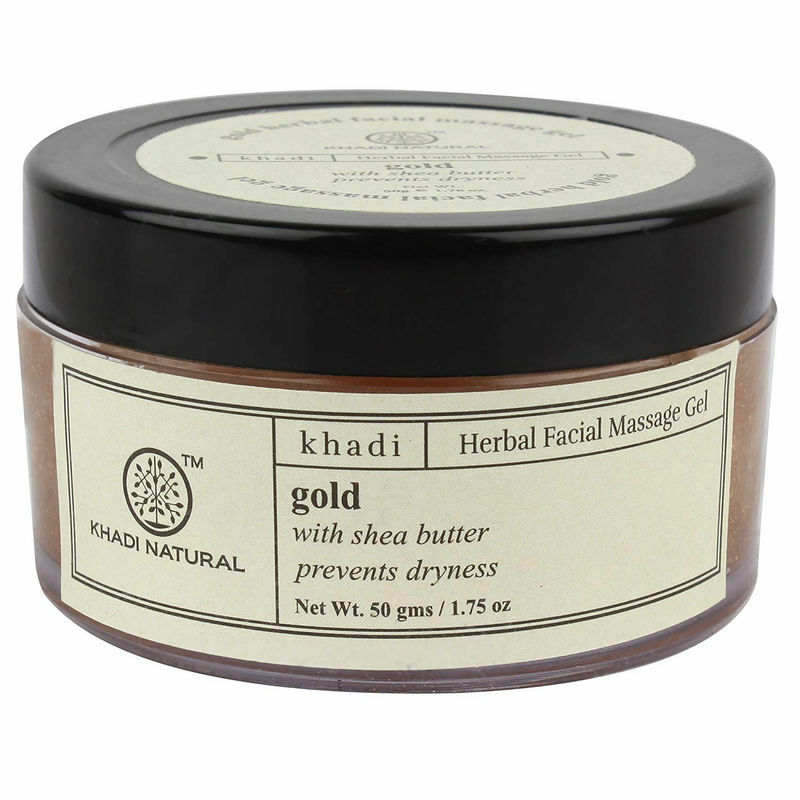 Khadi Gold Face Massage Gel will cleanse and massage your skin. Infused with the richness of gold, the ions present in gold help in stimulating the cells, nerves and veins in your body that leads to improved blood circulation. It helps to control premature aging. It tones the skin, reducing fine lines and wrinkles. Gives you a glowing an radiant skin.